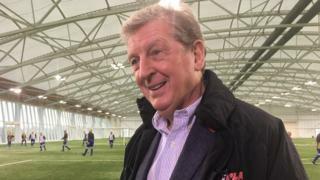 England manager Roy Hodgson explains how you can get involved in the FA People's Cup, a tournament that will give tens of thousands of people the chance of Wembley glory. BBC Get Inspired has again teamed up with the Football Association and the country's leading small-pitch football providers to launch the 2016 FA People's Cup, a free knockout competition which will give the people of England the chance to play in their version of the FA Cup. Read this to find out how to get involved.